Since 1984, DWA has specialized in innovative solutions for the supply of high purity water to dialysis centers – world-wide. DWA develops systems for production of ultrapure permeate and its distribution right into the dialysis machine. Our expertise in water treatment covers all aspects ranging from the pre-treatment stages, through reverse osmosis, ultra-filtration and heat disinfection systems, right up to the supply connection hose into the dialysis machine. In addition, DWA offers systems for the production and distribution of acid concentrates. Since its foundation, DWA has been setting standards in dialysis water treatment, and is the only company producing ultra-clean permeate using the combination of reverse osmosis and central ultrafiltration, including integral simultaneous heat disinfection of the ring main to the dialysis machine. 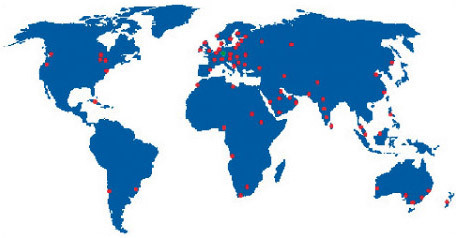 DWA is partner for dialysis centers – world-wide!